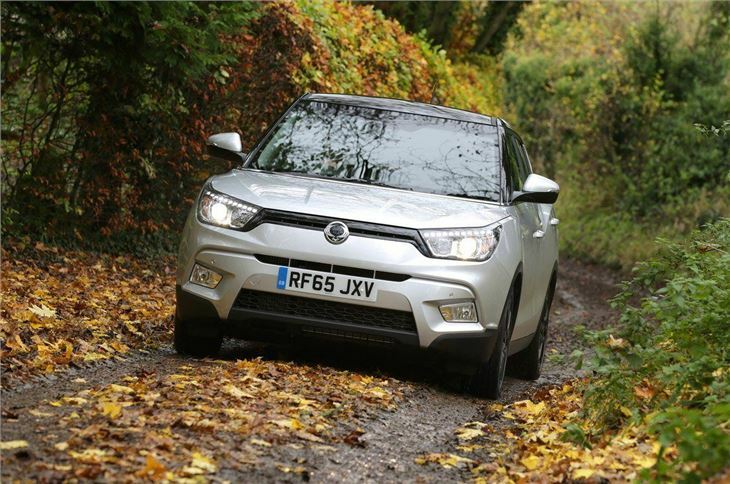 Ask most people if they've heard of SsangYong and the answer is likely to go along the lines of 'who?'. The Korean brand has been in the shadow of Kia and Hyundai for many years, not helped by a below par line-up including the ageing Rexton. But things are changing and with the new Tivoli SsangYong is starting to get noticed for all the right reasons. We've certainly been impressed by what we've seen so far, particularly the good value 1.6-litre petrol model which starts at just £12,950. That's £1000 less than the cheapest Nissan Juke. 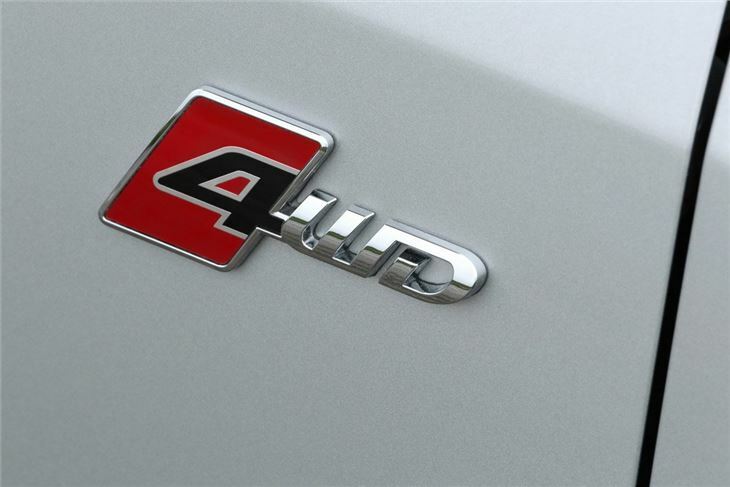 Now SsangYong has added a 1.6-litre diesel engine that's available as a 4x4 with a new six-speed automatic gearbox. This combination is only available in the top of the range ELX trim. But it does bump the price up. A lot. 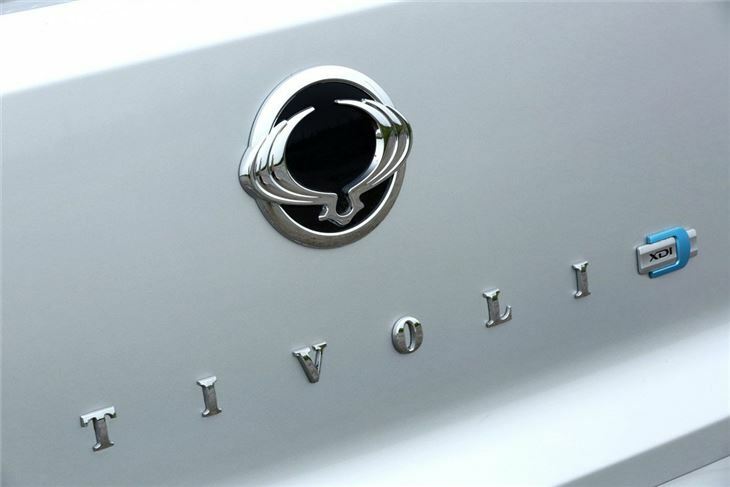 No longer the bargain motor, the Tivoli in this combination costs £19,500. Add in metallic paint along with the Styling Pack as shown in our pictures and you're looking at more than £20,000. That gets you an awful lot of Skoda Yeti, although admittedly not as well equipped. So does the Tivoli still make a good buy? Well the ELX is certainly well equipped for your £19,500. 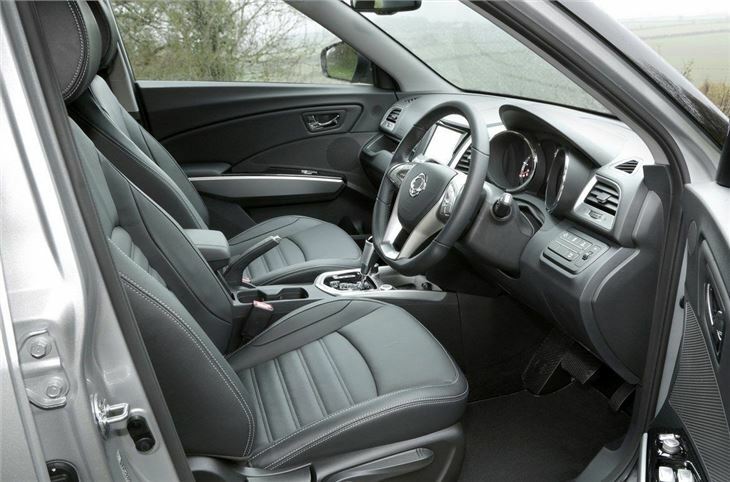 As you'd expect, it comes with leather seats which are heated in the front, dual-zone climate control, keyless start, front and rear parking sensors, cruise control and pretty much everything else you'd want. The infotainment system is impressive too with a high quality seven-inch touchscreen display and an easy-to-use layout. It also includes TomTom navigation and a USB input so it's slightly odd that there's no DAB radio. The £400 Styling Pack gets you black 18-inch diamond cut alloys along with a black roof and rear spoiler. The extras may not be everyone's cup of darjeeling but they certainly add to the sporty feel of the Tivoli. And given that many people buy crossovers for their design as much as their practicality, a strong look is key if SsangYong wants to get noticed. We think it's a good looking design that's different from what else is out there. We're impressed by the interior too. The quality of the materials used along with the fit and finish are mightily impressive. 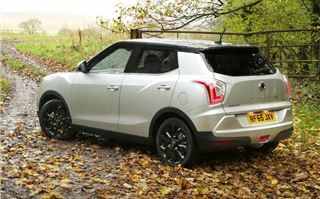 Compared to SsangYong's other smallish SUV - the Korando - the Tivoli is positively light years ahead. It's not all perfect. The heated seat controls are down by your knee and the funny thin red buttons on the central console aren't that easy to use - the temperature ones being a prime example. But those small things aside, it does genuinely feel like a good quality product. We're particularly impressed by the soft-touch plastics on the door and dash top while the electric window switches have a satisfyingly sold feel. Small details but key nonetheless. You can even jazz it up with red leather trim as shown below. 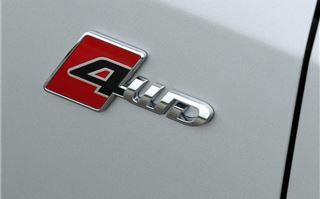 But what about the new 1.6-litre diesel engine? 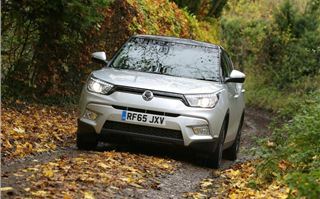 Well rather than borrow an engine from another manufacturer as in the past, SsangYong has designed this new diesel itself. With more models from SsangYong due next year, this 1.6-litre diesel is key. First impressions aren't bad. It's a touch noisy on start-up but is better once warm, although you still notice a fair amount of diesel clatter at higher revs. The Tivoli would benefit from some extra soundproofing. However, in everyday driving the 1.6-litre diesel suits the Tivoli perfectly. It may only have 115PS but it's the 300Nm of torque which stands out, meaning you rarely have to work the engine hard to get meaningful performance. It has plenty of get up and go too, so it never feels underpowered or lacking in acceleration. The diesel also works really well with the new six-speed automatic - a gearbox shared with the latest MINI range. The changes are smooth and sharp, plus it's quick to change down when you need a lower gear. It makes for effortless and easy progress as you can just leave it in 'D' and off you go. It's not all good news with the auto box though. While it works well, it's not very efficient. The standard manual 4x4 diesel Tivoli will return a claimed 60.1mpg but going for the automatic sees this plummet to 47.9mpg. Emissions rocket up too, climbing three VED bands and meaning annual road tax of £180. On its 18-inch wheels, the Tivoli's ride is on the firm side. It's not especially forgiving over rough roads and while vibrations are well insulated from the cabin there's a fair amount of tyre noise. 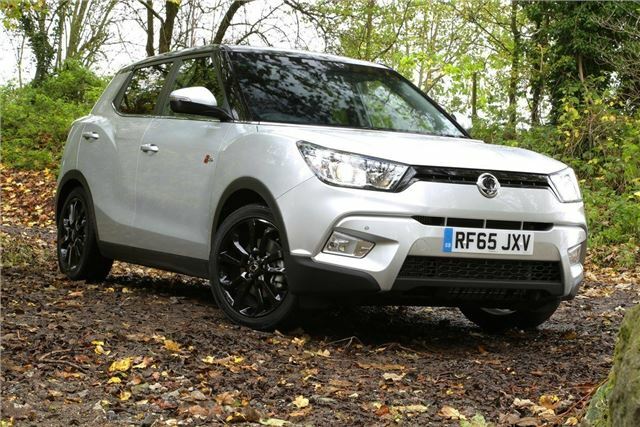 It's not harsh - rather firm on the sporty side of things, which does suit the Tivoli image as a SsangYong with a more youthful appeal. The upside of this is that it handles well. The steering has precious little in the way of feel, but it's responsive enough and the Tivoli feels assured and composed. As for practicality, there's good space for rear passengers although if you're tall you might find headroom a little bit tight. Usefully, the Tivoli comes with a spacesaver spare wheel rather than one of those useless tyre inflation kits. However, it does mean there's no depth to the boot which is tight for space as a result. You'd struggle to get a pushchair in there. If you want an auto 4x4 Tivoli then this is your only choice but at close to £20,000 it's a lot of money for a SsangYong, even if it does come very well equipped and has a quality feel to it. The EX version priced at £16,850 - albeit only 2WD - would probably be our preferred choice. 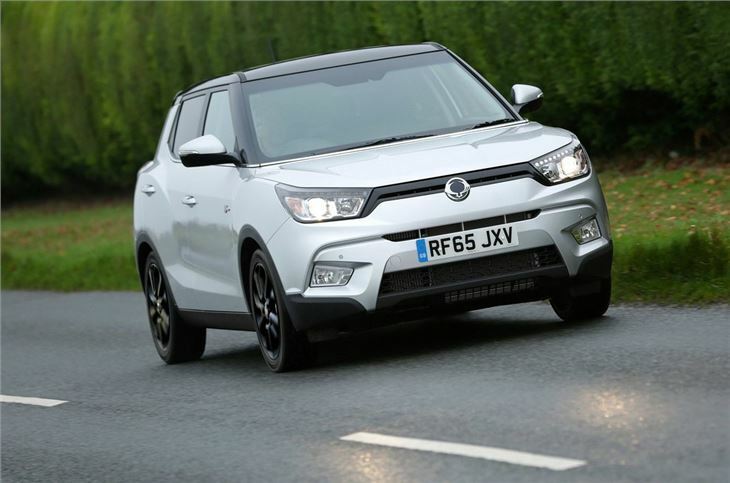 What the Tivoli does show is just how far SsangYong has progressed in a short space of time. 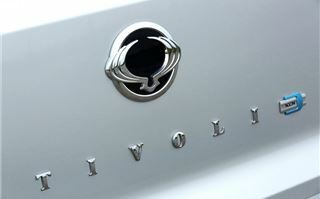 If this is the shape of things to come, then the future looks very bright for SsangYong indeed. The SsangYong Tivoli 1.6 Diesel is on sale now.